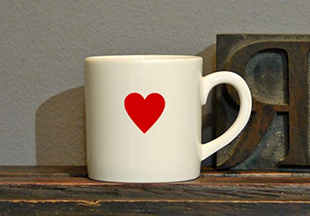 Here at Unite & Type we understand the importance of a good cup of tea and coffee. Whether it be the morning catch up or afternoon drama, early cocoa bedtimes, deep late night conversations or the 2am epiphany. The 'English eccentric' inside of all of us. 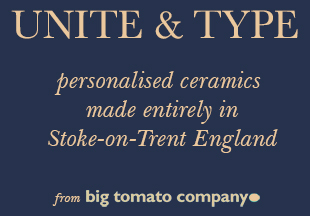 Inspired by the success of our customised ceramics at big tomato company, Unite & Type goes one step further in bringing you authentic English creamware. Combining our award winning ceramics and our love of typography you now have the chance to personalise your own mugs, teapots, jugs, and countless other luxury homeware items. Choose from over 14 typefaces and 6 colours to create the perfect gift. Turn your private jokes into bespoke ceramic items that will be treasured forever. Let everyone know how you take your tea, after all... it's a serious business! 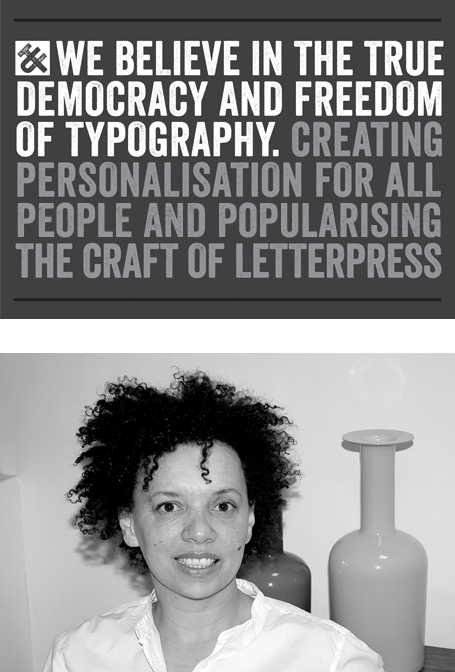 If you are as crazy about type as us [or just fancy learning a new skill] you will LOVE our letterpress courses. 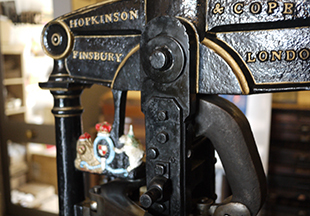 Held here on the world famous Portobello Road in our own letterpress workshop, get inspired, get thinking, get inking, get printing and whatever you make, we'll help you make it personal.